The apparent demise of Popular Photography is another reminder that the Internet has changed everything about traditional media. 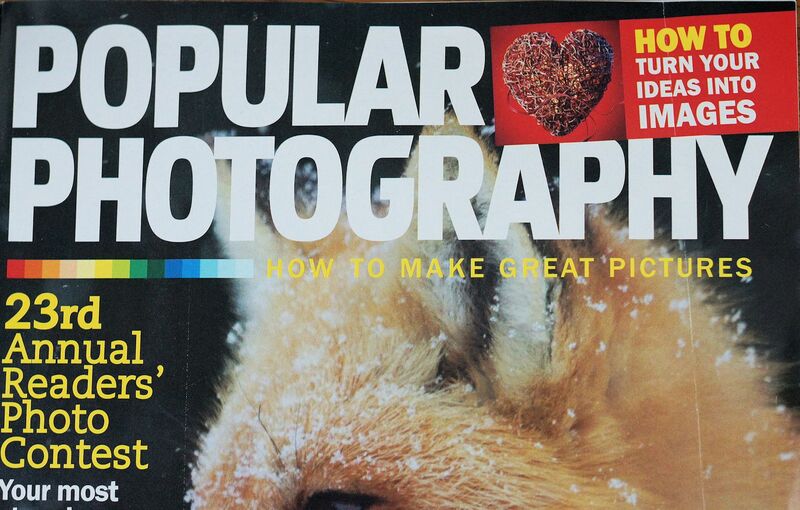 Popular Photography, which was celebrating its 80th of publishing, has now closed its doors, along with its sister publication, American Photographer. The magazine for photography enthusiasts was a mix of product announcements, product reviews, "how to" articles, interviews and feature pieces. There have been fewer ads, no doubt as eBay and the Internet have sapped away its traditional advertising, similar to what's happened with other print media. The shuttering of the two magazines is no cause for celebration. In an internal memo to employees of Bonnier, parent company of both magazines, Eric Zinczenko cites the rise of smartphones as part of the reason for declining advertising and readership. In fact, declining advertising and readership has been an issue for all traditional media – even before the Internet. If anything, the Internet accelerated that. Just look at the number of newspapers that have folded or have scaled back their publishing schedule since 2000. The memo ends with a somewhat cheerful, "Best, EZ," as if the memo is announcing a staff luncheon. At least, there wasn't a smiley face. The Internet has changed what is acceptable when it comes to writing and reporting. Photography publishing has evolved from news reporting and editing to Internet-style forums. Facts are not as important as opinion, which generally are accepted as fact. Some of the most popular photography websites are review and rumor sites. If you follow the comments on the rumor sites, these one- or two-sentence items are accepted as "done deal" gospel. Those who run most photography sites know little about grammar and punctuation. Because of the unlimited nature of a website, reviews can go on endlessly. Editing takes a back seat to immediacy. You know what? The majority of people don't care. Popular Photography has gone through numerous changes. In the late 1970s, it absorbed some staff and readers when its competitor Modern Photography closed. The tone of the magazine's writing changed in the 1980s and carried through into the 1990s. It became more colloquial – sometimes, too much for my tastes, using "ain't" frequently. The 2000s brought new editors and writers to the magazine and a return to traditional writing and editing. However, the magazine was slow to embrace the Internet. It wasn't alone. Newspapers and magazines had no idea of how to create a viable Internet presence. American Photographer launched in the early 1980s, serving as a showcase for the best of news and fashion photography. It wasn't about the gear – at least, not initially. That leaves Shutterbug and possibly Petersen's Photographic as the remaining "old school" photography magazines. Shutterbug, once a massive 11 x 17 inch publication printed on inexpensive newspaper-type paper and full of classifieds, a mish-mash of articles and seemed somwhat chaotic, has evolved into a traditional photography magazine. Petersen's Photographic stopped publishing for a while but seems to have returned. A quick visit to a local Barnes & Noble show plenty of photography magazines on the rack. There is a substantial interest in how to take better photos. There always will be. Not everyone uses a smartphone, and some people will become frustrated by the limits of that device. When that happens, there should be a publication to serve those needs. It probably will be on the Internet. My hope is that there is still a place in this world for a well-written sentence, an intelligently crafted thought and the ability to distinguish between "it's" and "its" and that there is someone who will care.